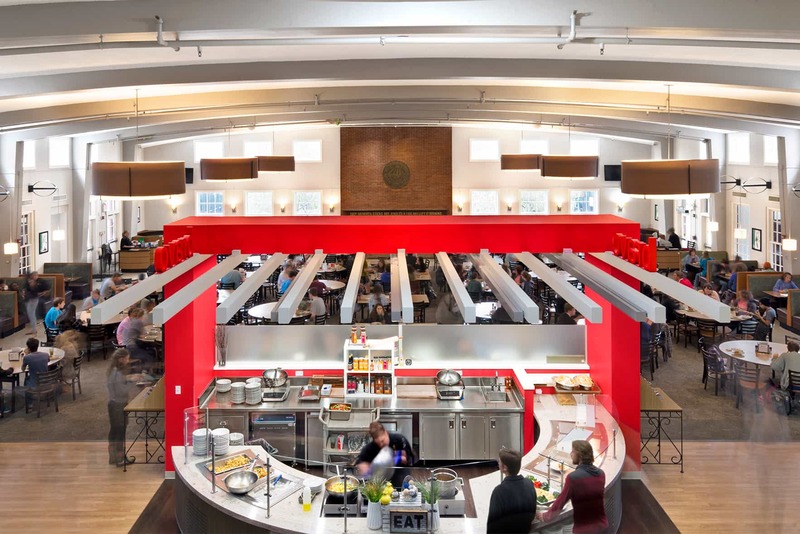 Enhancing the food experience on the campus, krM worked closely with Metz Dining to completely transform Earlham’s central student dining experience. 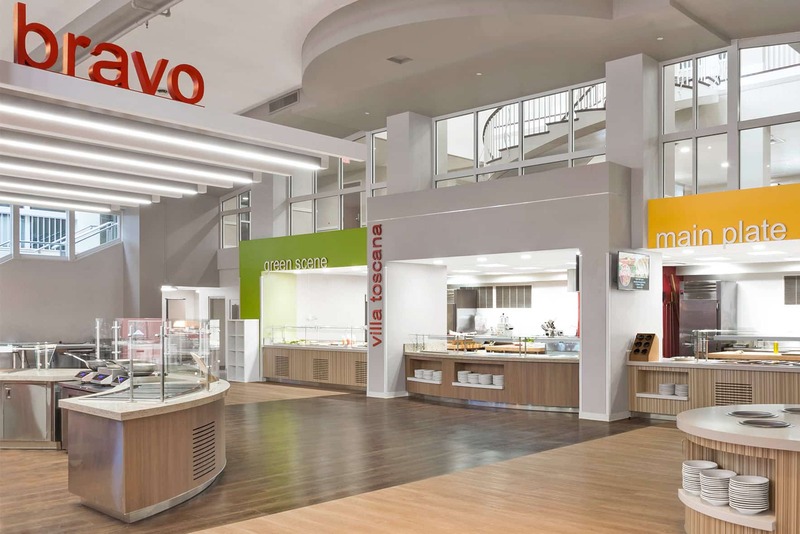 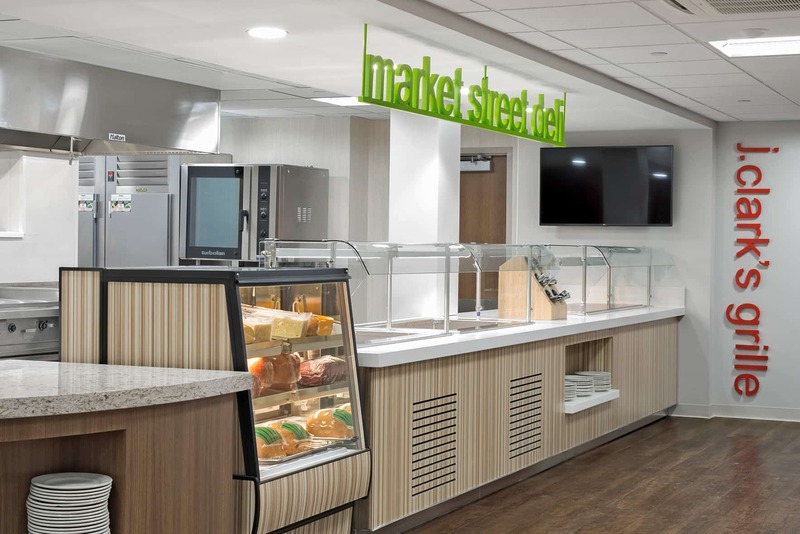 An open layout enhances food service operations by providing a variety of meal options, while bright colors and graphics set against neutral backgrounds help students, faculty and visitors quickly navigate the bustling space. 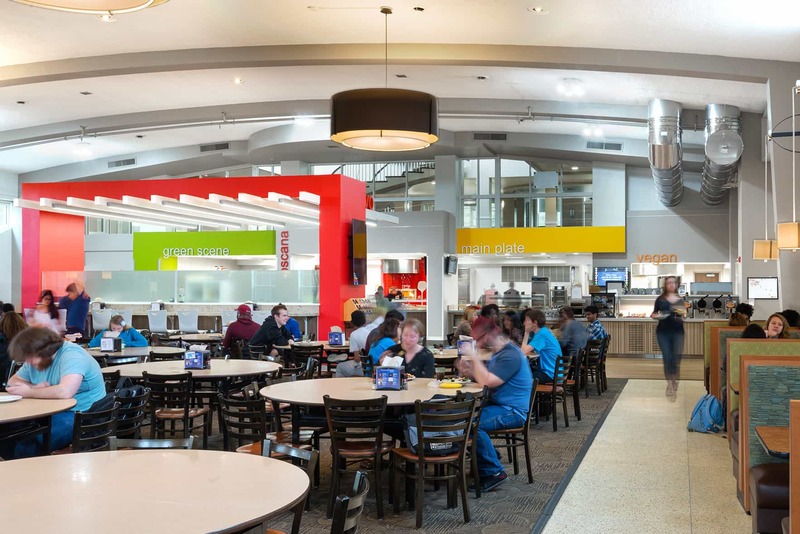 A double-height dining room is organized around an existing, central hearth with adjacent windows that allow for ample daylighting and views to the surrounding campus. 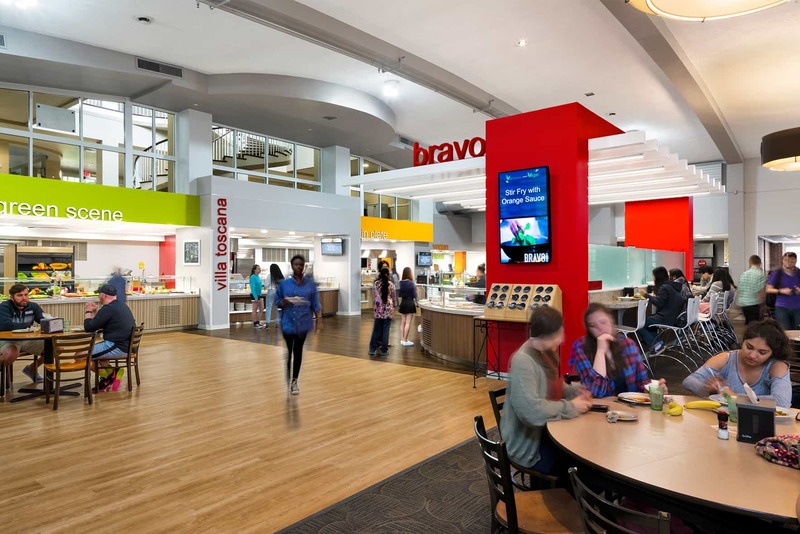 A flexible meeting space or private dining room was created adjacent to the main dining space that includes an operable wall to allow for a variety of campus and community events.